S.J.Res. 6 (114th): A joint resolution proposing an amendment to the Constitution of the United States relative to balancing the budget. 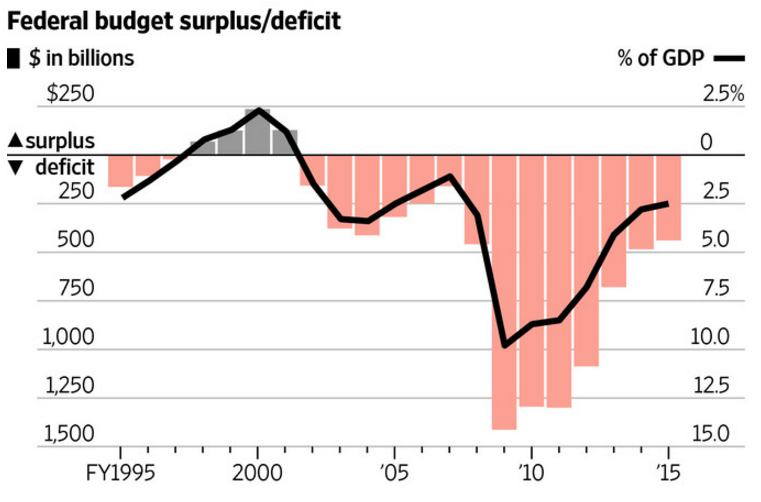 The last year the federal government had a surplus, meaning it spent less money than it took in, was 2001. Although the yearly budget deficit has declined every year since 2009, in January it was announced that the deficit would likely increase again in 2016. This resolution was introduced on February 4, 2015, in a previous session of Congress, but was not enacted. This activity took place on a related bill, S.J.Res. 3 (112th). This activity took place on a related bill, S.J.Res. 24 (115th). S.J.Res. 6 (114th) was a joint resolution in the United States Congress. A joint resolution proposing an amendment to the Constitution of the United States relative to balancing the budget, S.J. Res. 6, 114th Cong. (2015).